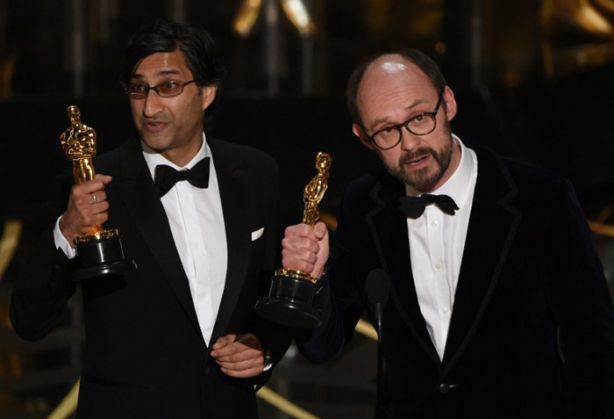 Home » Culture » #Oscars2016: Asif Kapadia who? British born filmmaker Asif Kapadia's ode to pop and jazz singer Amy Winehouse just won the best documentary feature at the 88th Academy Awards. Earlier this month, Amy also won a Grammy Award for best music film. Who's Asif Kapadia? No he isn't Indian. Kapadia was born in London to his parents who were from Pakistan. 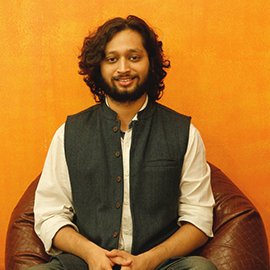 But he does have a bit of an Indian connect that may have slipped under the radar of popular culture. In 2001 Kapadia directed his first full length feature film called The Warrior, shot against the Himalayas and the deserts of Rajasthan, about Lafcadia, a warrior in feudal Rajasthan. And Irrfan Khan played Lafcadia. In 2003, it was selected as UK's entry for the Academy Award for Best Foreign Language Film - first time it submitted an entry that wasn't in a tongue indigenous to the country. It was rejected on the same grounds by the Academy - Hindi was not indigenous to Britain. This isn't the first time Kapadia's made a feature around a personality though. 2010 saw the release of Senna - Kapadia's biopic on the world famous Brazilian motor-racing champion Ayrton Senna. It became one of the highest grossing British documentaries of all time. Growing up though, Kapadia thought films were boring. In a 2011 interview to Guardian, he says: "As a kid, I thought movies were boring. My parents would hire VHS recorders for the weekend and watch Bollywood movies. I'd get bored and go out to Stoke Newington common to play football. The movies they took me to - Grease, ET - never really appealed." Thank god he developed an interest, then. And Kapadia cites Vietnamese filmmaker Tran Anh Hung's 1995 film Cyclo as a key contributor to his sensibility, as also the work of French director Robert Bresson. Kapadia's next? Supposedly a romanctic story of a Muslim Azerbaijani boy and Christian Georgian girl set in the early 20s called Ali and Nino, scheduled for a release sometime in 2016.